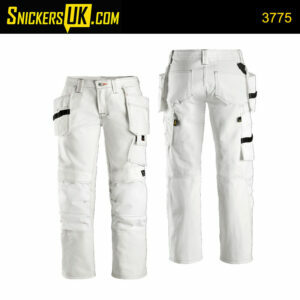 Snickers Trousers | 3 Series | 6 Series | Holster | NonHolster | SnickersUK. 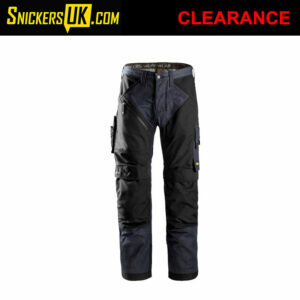 Snickers Workwear offer a massive range of quality work trousers. As well as the looser fitting 3 series there’s now also the 6 series with it’s more modern fit. Available in a multitude of fabric choices to suit your needs and working environment. 6 Series – FlexiWork, Ruffwork, AllRoundWork, AllRoundWork Stretch and LiteWork – Modern Slim Cut – Tighter Waist, Thigh & Leg. 3 Series – Duratwill,Cooltwill, Rip Stop, Canvas, Cotton & Denim – Looser fit, offering complete freedom of movement. Taking working comfort and flexibility to the extreme. Super-light work trousers in high-tech body-mapped design, combining ventilating stretch fabric with Cordura® reinforcements and holster pockets for outstanding freedom of movement and functionality. Light work trousers in high-tech body-mapped design for extreme working comfort and flexibility. Combining ventilating stretch fabric with Cordura® reinforcements and a range of pockets for outstanding freedom of movement and functionality. High end trousers made of Schoeller Soft Shell 4-way stretch fabric for exceptional flexibility & function. Advanced materials and innovative functions combine with pre-bent, slim fit to provide an extraordinary piece of workwear. The perfect choice for the demanding professional craftsmen. Heavy-duty work trousers for tough work. Modern design with amazing fit and reinforced functionality. Features Cordura® 1000 reinforced knee protection, built-in ventilation and stretch gusset in crotch for hardwearing comfort at work. Modern work trousers with amazing fit, combining hardwearing comfort and functionality. Features superior knee protection, built-in ventilation and stretch gusset in crotch for true allround performance at work. Be ready for everything. These modern Women’s work trousers come with great fit, hard-wearing comfort and advanced functionality. In addition, the trousers feature excellent knee protection, built in ventilation and stretch gusset in the crotch and back panel for true all-round performance at work. EN 14404. 30″ Waist = UK Size 12, 31″ Waist = UK Size 14. Please be aware this is only based on average feedback and is no guarantee of a correct conversion. Stay cool, dry and ventilated in these super-light holster pocket work trousers. Featuring advanced design with 37.5™ technology and superior knee protection for outstanding comfort and protection during intense work or in warmer climates. Stay cool, dry and ventilated in these super-light work trousers. Featuring advanced design with 37.5™ technology and superior knee protection for outstanding comfort and protection during intense work or in warmer climates. Reinforced design with modern jeans look. Hardwearing work trousers with amazing fit and functionality. Cordura® 1000 reinforced knee protection, built-in ventilation, holster pockets and stretch gusset in crotch for long-lasting comfort at work. Tough design for rough work, but with the classic feel of cotton. Modern heavy-duty work trousers combining amazing fit with reinforced functionality. Features Cordura® 1000 reinforced knee protection, built-in ventilation and stretch gusset in crotch for hardwearing comfort at work. Make the right impression, and get the right protection. These modern trousers have a contemporary design with amazing fit for superior comfort at work, featuring advanced knee protection. The functionality is just right for most jobs and with plenty of space for company profiling. Outstanding at work. Modern trousers with a perfect female fit for amazing freedom of movement and working comfort. Combines just the right functionality with plenty of space for company profiling. The ultimate painter’s trousers for women. Combining an advanced female fit with just the right functionality and reinforcements you need for amazing working comfort and superior certified knee protection.